In the practice of complete dentistry the dentist is committed to an examination, diagnosis, and treatment planning process and has developed the skill of recognizing the signs of instability in a patient’s masticatory system. It is our responsibility to offer the patient the most conservative treatment method to achieve the desired end result- a stable, comfortable, healthy dentition and supporting structures that matches their esthetic desires. The most critical skill to be developed in evaluating a patient’s occlusion is locating and verifying centric relation. If the examination reveals stable healthy TMJ’s and load testing is negative, Centric Relation serves as the starting point to determine the amount of discrepancy between CR and MIP. Following proper diagnosis and treatment planning, occlusal equilibration can provide selected patients with the most conservative, predictable, and safest treatment possible. Occlusal equilibration can often help avoid the need for more complex treatments. Unfortunately, a rift among dental educators, coupled with confusion in the literature over its safety and effectiveness, leaves many dental professionals questioning whether occlusal equilibration should be used at all. Contributing to the ambiguity surrounding occlusal equilibration is the fact that some dental continuing education courses have trouble discussing this topic because of faulty research that views occlusal equilibration in a negative light. Therefore, it is of paramount importance that dental professionals choose dental continuing education programs that present an unbiased, scientific-based approach that concentrates on the fundamental principles of occlusion and proper protocols for incorporating occlusal equilibration into clinical practice. Dentists who have developed proficiency in equilibration universally agree it is one of the most practical skills they use routinely in practice. Deflective tooth inclines force displacement of the TMJs to achieve complete closure into maximal intercuspation. This forced jaw displacement can lead to painful jaw muscle hyperactivity, excessive tooth wear, fractured cusps, and a myriad of other signs and symptoms from sore teeth to headaches. Occlusal equilibration is often the most conservative, time effective, cost effective way to achieve an occlusion free of deflective interferences. Dentists who have never experienced the predictable effects of equilibration, done correctly on properly selected patients may dismiss the importance of occlusal equilibration. But learning the fundamentals and developing some necessary skills can be a significant eye opener to the value of a deflective free occlusion. 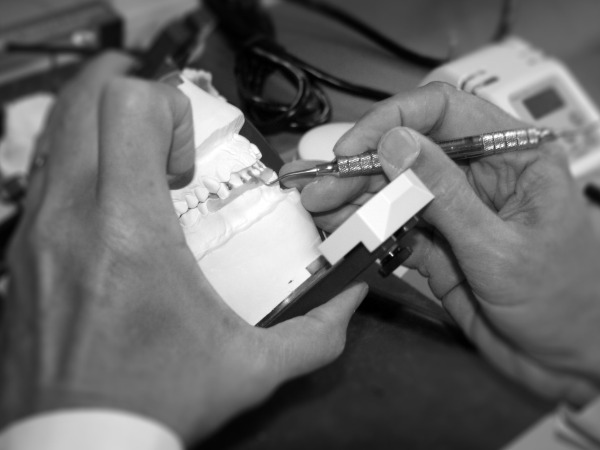 It is a premise of The Dawson Academy that no dentist can practice intelligently and ethically to the highest level of patient care without the ability to achieve a perfected occlusion. Occlusal equilibration is a “must learn” requirement for achieving that ability. Peter E. Dawson, DDS, founder of The Dawson Academy and an expert in dental continuing education, emphasizes that dental professionals require the knowledge and skills necessary to differentiate masticatory system disorders in order to fully understand the potential of, and incorporate--when appropriate, occlusal equilibration. He notes that currently available research fails to address this. For this reason, The Dawson Academy divides masticatory disorders into four categories: masticatory muscle, intracapsular (by structures), neurological, and dental. In particular, Dawson Academy students develop a greater understanding of how successful and predictable occlusal equilibration cases can be achieved in the safest and most efficient manner based on an understanding of what constitutes a healthy and stable jaw position. Based on this knowledge, they are then instructed in the proper analysis of the TMJs, taking and mounting casts in centric relation, reshaping tooth structures, and achieving harmony between the dentition and TMJs. According to Dr. Dawson, successful treatment when occlusal equilibration is indicated requires proper case selection, diagnostics, and treatment planning, skills that are taught comprehensively in courses at The Dawson Academy. By emphasizing the fundamental principles for successful dental treatments, as well as effective yet controversial approaches such as occlusal equilibration, The Dawson Academy ensures that its graduates are "Complete Dentists" capable of providing comprehensive dental care for more consistent, predictable, and healthy outcomes.